Fitch Ratings upgrades Israel's ratings to 'A+' from 'A'. Netanyahu: It's a result of our responsible economic policy. Fitch Ratings on Friday upgraded Israel's Long-Term Foreign- and Local-Currency Issuer Default Ratings (IDRs) to 'A+' from 'A'. 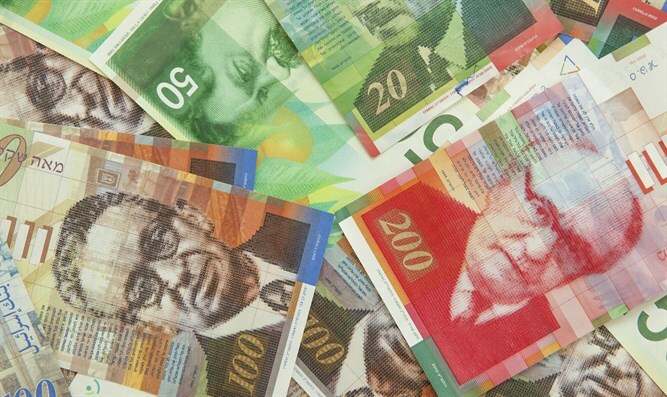 The Outlooks on the long-term IDRs are Stable, the agency said in a statement, adding that the issue ratings on Israel's senior unsecured Foreign- and Local-Currency bonds are upgraded to 'A+' from 'A'. “Israel's external balance sheet has continued to strengthen. The country has returned annual current account surpluses each year since 2003, and in 2015 posted a record surplus of 4.6% of GDP,” Fitch explained the reasoning for its upgrade. “Fitch expects Israel's net external creditor position to be 43% of GDP in 2016, an improvement from 35.1% in 2014 and 23% in 2008 when we last upgraded Israel's IDRs. This is four times the 'A' median, and in line with the 'AA' median,” it added. “This upgrade is attributed to the responsible economic policy that I am leading together with Finance Minister Moshe Kahlon. We will continue strengthening our economy and leading Israel’s economy responsibly,” added Netanyahu. “That trust comes with more money for social ministries, less taxes for everyone and far-reaching reforms,” he continued. “We will continue to lead the Israeli economy responsibly and decisively, and institute a free economy with social compassion and sensitivity. The money in the budget is not mine, it belongs to all of us, and today the entire world believes in us even more,” said Kahlon. In August, Moody's Investors Service affirmed Israel's A1/(P)A1 issuer and government bond ratings with a stable outlook. S&P previously affirmed its 'A+/A-1' long- and short-term credit ratings for Israel, with a stable outlook.